What is overall size and what size nails/screws/or bolts does it take to attach it? Please see the attached image for full dimensions. We do not have specific information on the type of screws/bolts used for installation. Does this hook have a Working Load Limit? 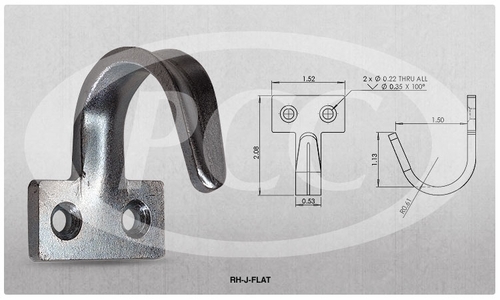 No, this particular hook does not have a load rating.